My Thoughts: I started to listen to an audiobook version of a book that I have had on my TBR shelf for a while. 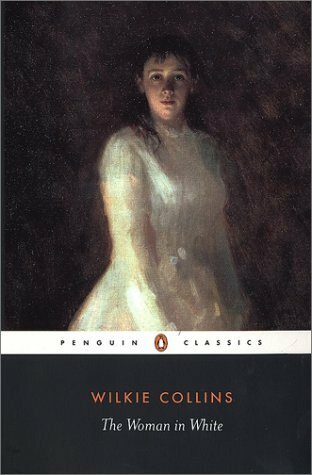 I picked up the classic The Woman in White and really got in to the narration. The pronunciations of the characters and towns were helpful to hear because I later had to finish the story in its’ physical form. I listened to a bit more than 1/3 of it and then the library loan was up. 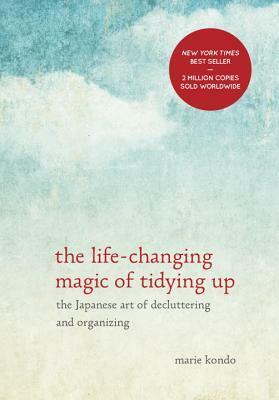 I happily picked up the book form my shelf and continued to read it. If you are interested in audiobooks, I highly recommend at least starting this book that way and then switching to reading it. It moves very smoothly and is easy to keep up with. It is a long book but well worth the read. 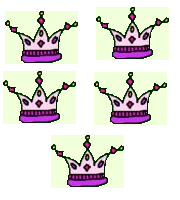 I gave it 5 crowns. Synopsis from Goodreads: When a beautiful, aspiring writer strides into the East Village bookstore where Joe Goldberg works, he does what anyone would do: he Googles the name on her credit card. My Thoughts: This book I heard about on BookTube and I thought it would be a great read for October. 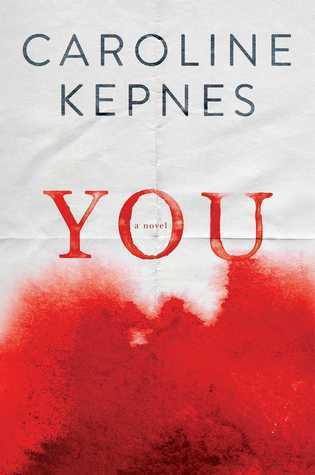 You by Caroline Kepnes was discussed in almost every video I watched and again I was excited to give it a try. I think it might have been over-hyped. You is the story of a stalker and his “girlfriend/victim” told by the stalker’s perspective. It was an interesting point of view to read from. It started off great but quickly changed its’ tone for me. The detailed descriptions of the perverse actions of the characters turned my stomach a bit. I do not think that they were necessary for the story to be a good one. I did want to know what happened so I read through to the end however, I will not be picking up the next book in this series. I thought this was slightly better than my first read of the month and gave it 3 crowns. 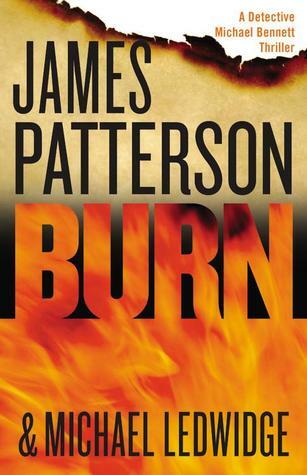 The first book I read in October was Burn by James Patterson and Michael Ledwidge. I haven’t read too many of Patterson’s Michael Bennett series. I won this copy from the James Patterson website and wanted to read it during the month that I planned to read mystery books. I have mentioned in previous posts that I love the Women’s Murder Club series from James Patterson so I was excited to get into this. Unfortunately, I was extremely disappointed. Synopsis from Goodreads: Detective Michael Bennett finally returns to New York City—and to the most unsettling, horrific case of his career. My Thoughts: The story line involved cannibalism and disgusting details that were a real turn off to me. The back story about Michael Bennett was there but the main plot was something that I would turn away from if I had seen it in the synopsis of another book. I did finish this book as it was a quick read. I do not think that I will be picking up any other books besides the Women’s Murder Club. I gave this book 2 crowns. If you’ve read my last post, you know that I planned to read some books in September that would help me “better myself”. I am happy to say that I did read those books. Now, I have to put into practice what I’ve read. I had recently finished reading The Gifts of Imperfection and knew that I wanted to read this new release in September. I was not disappointed. 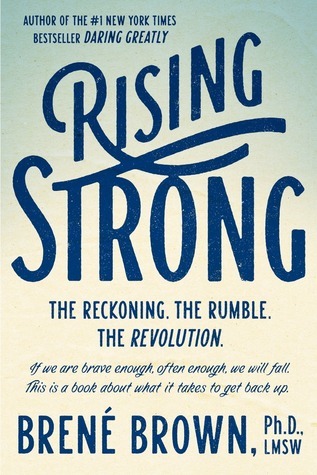 I love Brene Brown’s writing style and TED talks. She is very relatable and witty. One of the things that I learned from this book is that we all fall down. It is imperative to look around while we are down for different perspectives and work our way back up! This was a great read and a great way to start September. I gave this book 4 crowns. After putting this book down, I had the chance to attend a book signing and listening event for Jewel. Now, I was an am a 90’s girl and Jewel’s songs, poems and stories have always inspired and spoke to me. I was thrilled to sit in a beautiful Barnes & Noble and listen to hear sing and tell a few stories about her life and her new book and CD. Of course, I knew that there was an opportunity to bring in other books and cd’s that she had produced and I get them signed. I was ecstatic. Needless to say my next read was her new book: Never Broken. You may be wondering why I read this book in September since I said that I would devote it to reading books that I felt would enrich my life. I absolutely believe that reading about someone else’s life can impact your life. Reading about their struggles and triumphs can allow you to reevaluate your situation. This was an amazing book about Jewel’s life and she was honest and open about many things. I gave it 5 crowns. I did pre-order a signed copy of Elizabeth Gilbert’s new release Big Magic, however, it still has not arrived. There is an issue with the signed copies from the site I ordered from. So, I ended the month with a book that I had on my shelf for a long time. Crossroads by Wm. Paul Young. 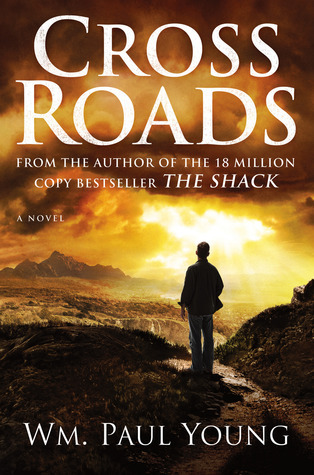 I loved The Shack when I read that years ago and was excited to pick this up. Although the beginning got off to a slow start for me, the rest of the story made up for it. I love the way that Young tells his stories. They are realistic and they teach a valuable lesson. I gave this book 4 crowns.